Nobody gets out of life alive. Even presidents, kings, artists, and celebrities end up kicking the proverbial bucket sooner or later. But what happens to our bodies after death? Most end up buried, cremated, or laid to rest in some form or fashion, but sometimes things get a little creepy. Bodies are stolen, misplaced, or even mutilated postmortem. When weird stuff happens to the rich and famous, it’s frighteningly fascinating. Whether you think there was a lone gunman or a conspiracy of Oliver Stone proportions, there’s no denying the JFK assassination was weird. From magic bullets to changes in parade routes, the case is full of bizarre circumstances and odd coincidences, but perhaps the strangest mystery of all is the case of JFK’s missing brain. Of course, there wasn’t much of a brain to go missing. One of Oswald’s bullets hit Kennedy in the head, spraying bits of skull and matter everywhere. When Kennedy finally arrived at the hospital, doctors noticed Jackie Kennedy was clutching something in her hands, which turned out to be a big glob of the President’s brain. But what happened to the rest of it? After the autopsy, the brain was placed in a stainless steel container, which the Secret Service locked away in a White House cabinet. In 1965, Robert Kennedy transferred the brain to the National Archives along with a locker of other autopsy materials, like blood samples and bone fragments. The next year, officials were going through the materials when they noticed a few items were gone—like the locker full of tissue and the President’s brain. Baffled, officials searched for the missing body parts and questioned over 30 people, but no one had any clue where JFK’s brain had gone. The disappearance was kept secret until 1978, when the House Select Committee on Assassinations publicly revealed that someone had misplaced JFK’s gray matter. Conspiracy theories abound over Kennedy’s missing brain. Most conspiracy theorists suspect the government “lost” the brain to make sure no one found out how many bullets actually hit Kennedy or what angle they had really come from. Another theory posits that Robert Kennedy stole his brother’s brain to cover up JFK’s health problems or possibly his drug use. While it’s true Kennedy was using large amounts of medication to deal with back pain, Kent Sepkowitz of The Daily Beast makes a strong argument against this theory. According to Sepkowitz, analysis of Kennedy’s brain in 1966 would have revealed little about his physical health. 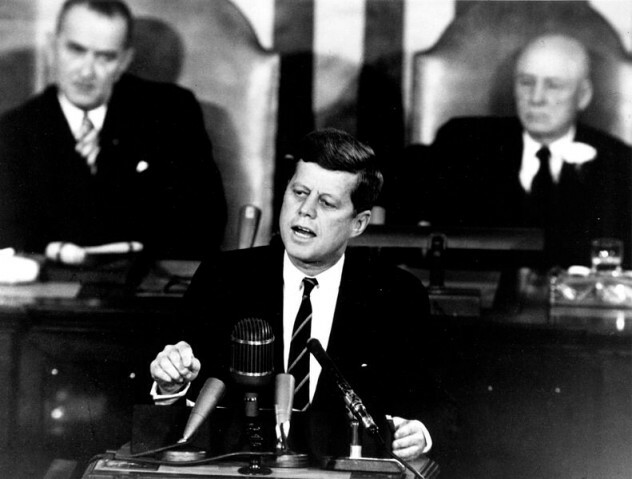 Even today, doctors couldn’t determine if JFK abused drugs simply by studying his cerebrum. Regardless, the brain is still very much missing. Perhaps there’s some conspiracy afoot, or perhaps the brain got lost in the bureaucratic shuffle, proving that you can’t trust Washington with anything. King Tut, how’d you get so funky? And so . . . burnt? That question puzzled archaeologist Christ Naunton. As director of the Egypt Exploration Society, he was flipping through the notes left by Howard Carter—one of the guys who discovered Tutankhamun’s tomb—when he came across an odd observation. Carter believed the boy king had once caught on fire. Curious, Naunton phoned Robert Connolly, an Egyptologist who had a few samples of Tut’s flesh lying around the office. Naunton borrowed a few bits of bone and muscle tissue and, after observing them under an electron microscope, determined Carter was right. 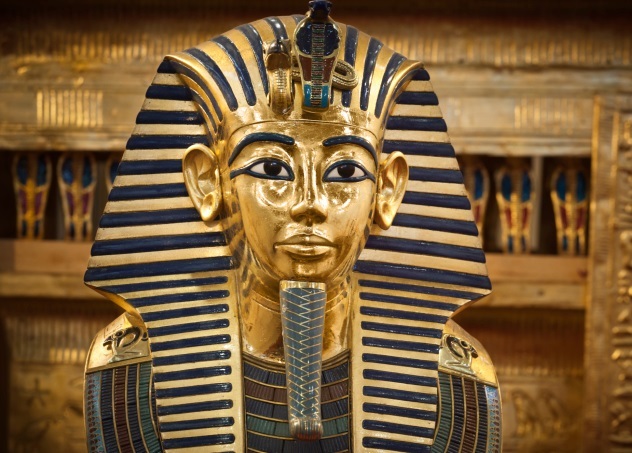 How exactly did Tut go up in smoke? It was probably thanks to a hasty burial. While researchers are divided on how the boy king died (some say malaria, others think assassination, and Naunton says he was struck by a chariot), most archaeologists agree he had a fast funeral. The paint in his tomb wasn’t even dry before the sarcophagus was set inside. Due to this rushed atmosphere, one of the embalmers got sloppy. Mummification involved a lot of flammable chemicals. Embalmers drained the kingly bodies of fluid and preserved the corpses with a mixture of plant oils and resin. Since these particular undertakers were in such a hurry, Naunton thinks they spilled some of the oil on King Tut’s burial shroud. Over time, the oxygen probably started a chemical reaction, lighting the linen and frying Tut’s body. With all that oil and oxygen, the fire probably reached nearly 200 degrees Celsius (390 °F), leaving the Pharaoh nice and crispy. We’ve mentioned Margarethe Zelle, better known as Mata Hari, quite a few times on Listverse. After all, she’s one of the most famous spies of the 20th century. 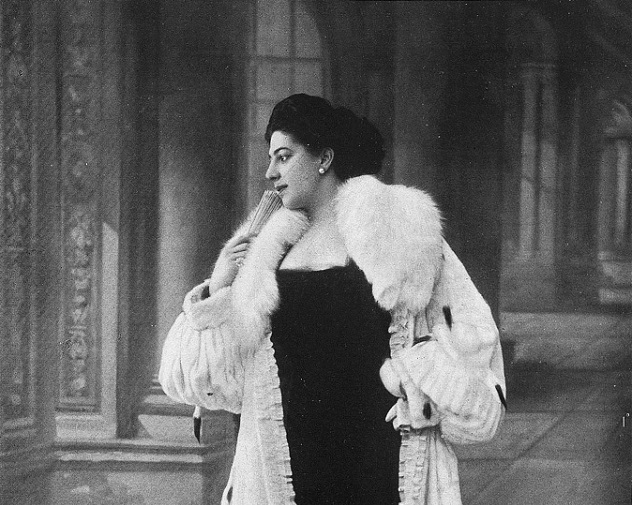 Originally an exotic dancer, Mata Hari was hired by the French to charm information out of German officials. She was accused of working as a double agent and executed by firing squad in 1917. Historians debate whether she was actually guilty, but there’s one fact that no one can dispute—her body is missing. When no one claimed her cadaver, the Museum of Anatomy in Paris swooped in and added her corpse to their collection. What happened next would have made Vincent Price faint in horror. Museum curators chopped off her head, dipped her dome in wax, and mounted the new trophy in their “notorious criminals” wing. In 2000, the French government decided to shut down the anatomy museum, so the director set about cataloging all the valuable attractions the museum had to offer. At the top of the list were the heads of the dead and infamous, but when he started inspecting the skull collection, he realized Mata Hari’s head was gone. As if that weren’t bad enough, her entire body had disappeared, along with all the paperwork related to her acquisition. Some suspect her body was lost when the museum moved buildings in the ‘50s, while more macabre minds think a creepy fan might have stolen her skull. Either way, the dancer has disappeared for good, and that’s the naked truth. 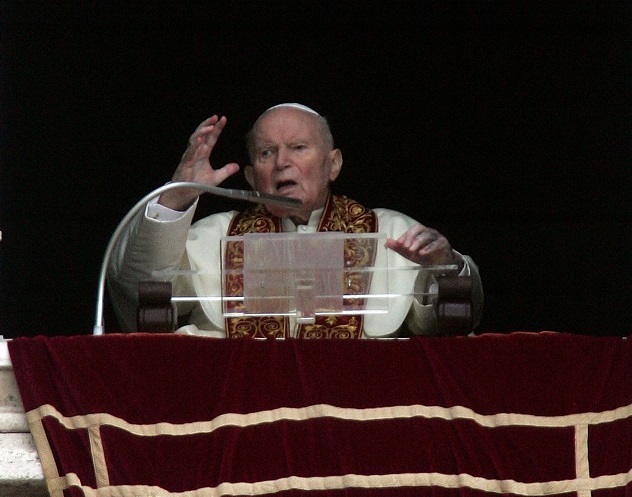 Even though he passed away in 2005, Pope John Paul II can’t seem to stay in one place. Originally, he was laid to rest in the Grottoes beneath St. Peter’s Basilica, but after his beatification in 2011, he was placed in the main room of the church. His corpse hasn’t moved around much since then, but for some strange reason, people keep stealing his blood. In 2013, Father Augusto Baldini was traveling outside of Rome when thieves snatched his backpack. The poor priest probably had a heart attack when he realized what had happened, because the bag held just one of three samples of John Paul’s blood. After he was shot in 1981, the Vatican preserved some of the pontiff’s plasma, and Baldini was supposed to deliver the relic to a church near Rome. Panicking, he called the police, who found the backpack a few hours later. It was just lying in the grass, the vial untouched. That wasn’t the last time crooks would swipe the Pope’s bodily fluids. In 2014, Italian cops received an emergency call from the Church of St. Peter of Ienca reporting that someone had broken into the church and filched a container holding a piece of cloth stained with John Paul’s blood. The media freaked out, suspecting a Satanist plot. More level-headed minds assumed a collector stole the relic, knowing its price would skyrocket after the Pope is canonized. It turns out that the scrap was stolen by junkies who were probably more interested in the gold and glass case than the strip of bloody cassock. 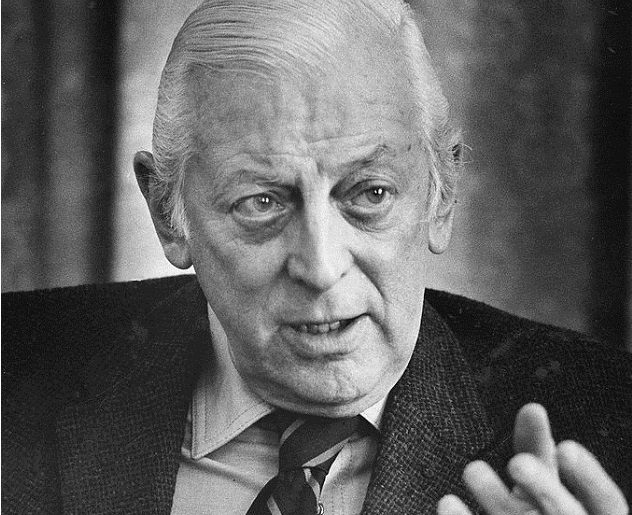 For over 20 years, Alistair Cooke hosted PBS’s Masterpiece Theater, introducing TV dramas with his trademark, “Good evening, I’m Alistair Cooke.” He was also known across the pond for his BBC radio program, Letter from America, where he put a distinctly British spin on American events. As he grew older, Cooke developed lung cancer, and the beloved broadcaster passed away in 2004. Shortly before Cooke’s cremation, his story took a ghastly turn. Michael Mastromarino was an ex-dentist who dealt in human flesh. Working with a string of funeral homes, Mastromarino secretly paid undertakers $1,000 per body and stripped corpses of bones, skin, and cardiac valves. He sold the parts to tissue-processing companies, which used the remains for dental implants, skin grafts, and heart procedures. Mastromarino and his ghoulish gang raked in millions of dollars, and to cover their tracks, they sewed PVC pipes back into the sagging bodies. After Cooke died, Mastromarino bought his body and sold his cancer-ridden bones for $11,000. However, the buyers didn’t know they were dealing with infected remains. Since it’s illegal to use cancerous body parts, Mastromarino doctored the paperwork to say Cooke died of a heart attack. This wasn’t the first time he’d altered a death certificate. Quite a few of his bodies were plagued with hepatitis and HIV, exposing innocent patients to horrible diseases. He even changed Cooke’s age from 95 to 85, since companies can’t buy the remains of the very old. Fortunately, Mastromarino’s crimes came to light in 2005. Hoping to avoid heavy sentences, he and seven funeral directors pleaded guilty to their nightmarish crimes. However, Mastromarino never served out his sentence of 15–30 years, as he died in 2013 of metastatic liver cancer. As for Cooke’s remains, chances are good that his bones were implanted in somewhere between 15–20 people living across the US, Canada, and Europe. That means someone reading this list could have a piece of Alistair Cooke somewhere in their system. Mary Bateman was quite the villainess back in the day. 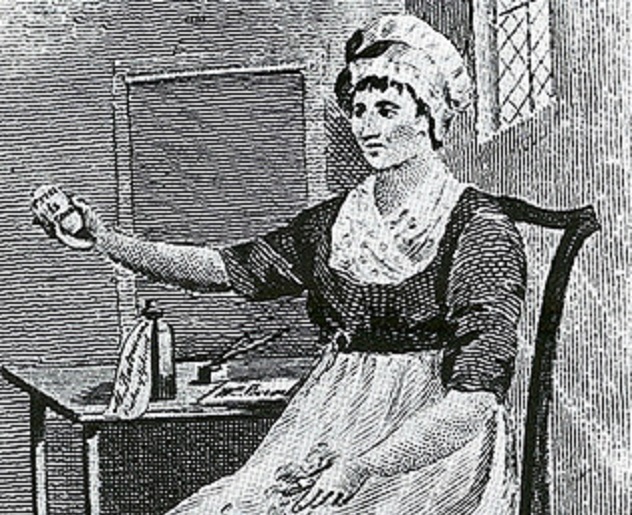 Born in Yorkshire in 1768, Bateman was constantly in trouble with the law, earning a reputation as a thief before her 13th birthday. As a housemaid, she stole everything she could get her hands on. However, it was her second occupation that earned her the nickname “The Yorkshire Witch.” When Bateman wasn’t cleaning, she was predicting the future and offering spells to superstitious locals. In addition to scamming folks by magical means, Mary provided abortions and dreamed up cons like the Prophet Hen of Leeds. Bateman owned a bird that laid eggs supposedly inscribed with the apocalyptic warning “Christ is Coming.” Religious fervor swept the land and people came from miles around to visit Mary’s farm and see her doomsday chicken. Of course, they had to pay a pretty penny. Eventually, her fowl scheme was discovered when a group of skeptics found out Mary was writing the messages and shoving the eggs back inside the poor bird. Bateman’s conniving ways led to her undoing. A young woman named Rebecca Perigo was suffering from a “flutter” of the heart and assumed there was witchcraft involved. She and her husband, William, asked Mary to nullify the spell. Bateman was only too happy to bilk the couple out of their cash, offering bizarre charms to counteract the curse. Perhaps to hide her deeds, Mary eventually decided to off the Perigos. She laced half a pound of honey with mercury chloride and told them to eat all of it. While William survived, Rebecca died a horrible death, and Bateman was executed via hanging. Even in death, the locals were enchanted by Mary. First, she was put on display, where people paid to gawk at her body. Next, doctors dissected her remains, studied her organs, and decided to make a few bucks off the neighborhood sorceress. They skinned her corpse, cured the skin, and sold strips as magic charms to ward off evil. Even then, Mary’s body had one last stop. Her skeleton ended up in the Thackray Museum, where people still come to see the infamous Yorkshire Witch. 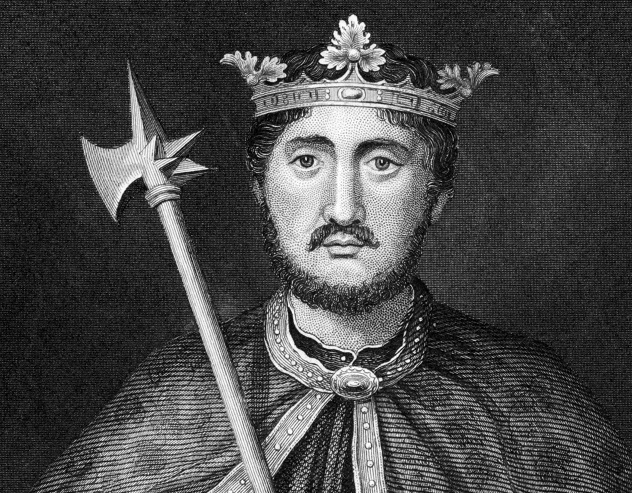 Despite the fact that he was King of England, Richard the Lionheart didn’t spend much time in the British Isles. Richard lived most of his life in continental Europe, only visiting England for a few weeks after his coronation. In addition to speaking Occitan, his kingdom included regions like Normandy, Touraine, and Aquitaine. As we’ve mentioned before, he even died in France after taking a crossbow bolt to the shoulder. By no means did the Lionheart’s story end there. Richard was gutted and his entrails were buried in Chalus, the town where he met his end. His body was shipped to Fontevraud Abbey, where he was interred with his parents. However, he wasn’t just missing his intestines. Richard was buried without his eponymous organ. The King’s heart was plucked out of his chest and mummified using a concoction of myrtle, daisy, mint, frankincense, and mercury. It was then placed in its own special casket and taken to the Church of Notre Dame in Rouen. It may sound strange, but carving up kings was a common occurrence back in the Middle Ages. The body parts were strewn across the kingdom and served as markers. It was a gesture that meant “This guy was powerful, he controlled this territory, and now it belongs to his heir.” The heart was the most important part of this grisly process, which is why it was placed in Rouen. After all, Rouen was the capital of Normandy, the most important region in Richard’s domain. It remained there for over 600 years until 1838, when a historian stumbled across the old lead box. Of course, time had taken its toll, and the mighty Lionheart was just a pile of dust. 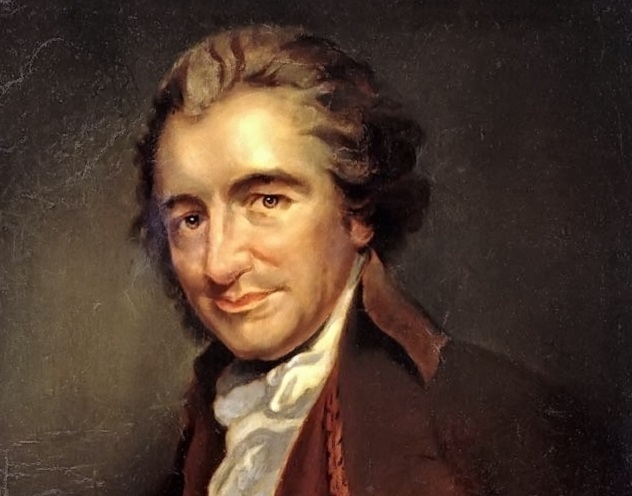 Harvey Dent once said “You either die a hero or you live long enough to see yourself become the villain.” That sums up Thomas Paine’s life perfectly. Paine’s Common Sense led to America’s independence from Great Britain, but just a few years later, Paine was despised across the country. He was scorned by the government for condemning the elite and was branded an atheist for attacking organized religion. Towards the end of his life, Paine sank into poverty and depression. He turned to alcohol and died in 1809, miserable and alone. Paine did have one fan, a radical writer named William Cobbett. In fact, Cobbett was such an admirer that he decided America wasn’t good enough for Paine’s corpse. He deemed England a better resting place for the man’s bones—after all, he had lived there for 37 years. He hoped Paine’s body and a proper monument to it would kick-start England’s democracy movement. In 1819, Cobbett armed himself with a shovel and visited Paine’s grave in New Rochelle, New York. Evidently, early American customs officials were pretty lazy, because Cobbett smuggled the remains back to England without a problem. Unfortunately, once he got back home, nobody was interested in his box of bones. His plans for a memorial slowly faded and Paine’s skeleton was left in Cobbett’s attic until the writer’s death. After his passing, Cobbett’s kids had the pleasure of disposing of Paine’s bones, and that’s where things get mysterious. Nobody is sure what happened to poor Thomas Paine. He might have been buried in Cobbett’s backyard, or he might have been sold off, one bone at a time. In the 1850s, an English pastor claimed to own Paine’s right hand, and in the 1930s, a Brighton woman swore she had his jawbone. There’s a possibility his rib ended up in France and some think his bones were fashioned into buttons for English coats. In 1987, an Australian man named John Burgess claimed he bought Paine’s skull while traveling in London, but no one has verified his claims. The only positively identified remains of Thomas Paine are his brain stem, which is buried on his farm, and a snippet of his hair that’s locked safely away where no crazy fanboys can find it. 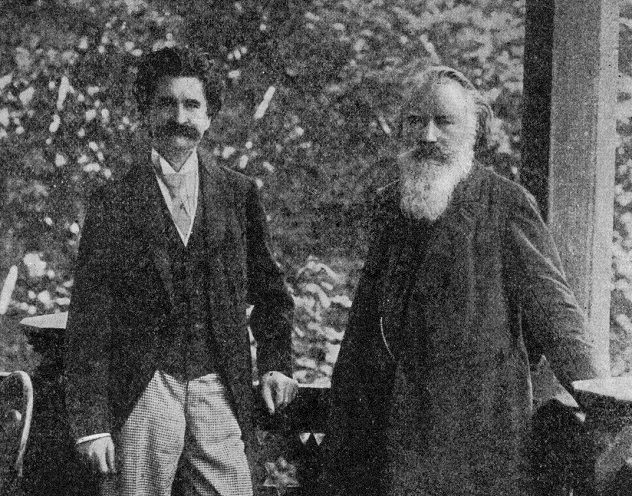 Even if you don’t know the difference between a symphony and a sonata, you probably know the works of Johannes Brahms and Johann Strauss. Strauss’s “The Blue Danube” has shown up in everything from Looney Tunes cartoons to 2001: A Space Odyssey. If your mom ever sang you to sleep, you’ve undoubtedly heard Brahms’s classic “Lullaby.” In addition to creating timeless music, the Austrian composers were good friends and were buried next to each other in the Central Viennese graveyard. Officials are hoping to charge with him burglary and “disturbing the peace of the dead,” but Jajcaj may very well escape justice. He isn’t Austrian, which would make it difficult to try him. More importantly, since Jajcaj committed his crimes in 2002, the statute of limitations might have expired. Two years later, there isn’t much news on the situation. Jajcaj uploaded his latest YouTube video in 2013, so he was free as of then. If prosecutors can’t charge him, Strauss and Brahms might go through eternity without their chompers. During Beethoven’s autopsy, the surgeon hastily chopped up his skull, spraying bone fragments everywhere. By the time he was finished, the skull looked like a puzzle with several pieces missing. 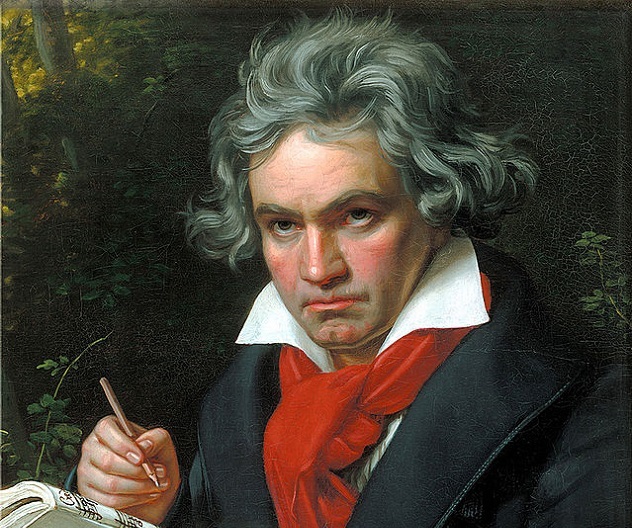 Beethoven’s temples were lumpy, his jaw was out of place, and he was missing his ear bones. The surgeon removed the ossicles with the hope of discovering the source of the maestro’s deafness. Predictably, the bones disappeared. The next time any bones showed up was in 1990. Paul Kauffman was poking around an attic when he found a box labeled “Beethoven.” Inside was a fragmented skull. Kauffman discovered that his great-great-uncle was a doctor who had dug up Beethoven’s body in 1863 and possibly snatched his head. Of course, Kauffman was suspicious, so he asked experts at San Jose State University to take a look. After a DNA test, the scientists were pretty positive Kauffman had the real deal. What did experts compare the skull to? Beethoven’s hair, of course. The composer’s unruly mane attracted mobs with scissors and those strands ended up, well, everywhere. For example, we’ve mentioned the company that turned a lock of Ludwig’s hair into a diamond worth $202,700. Other clippings made their way to establishments like the Library of Congress, the British Library, and the Beethoven-Haus, but the most fascinating story is that of the Guevara Lock. Shortly after Beethoven’s death, a young composer named Ferdinand Miller snipped a few strands from his hero’s head. In 1883, Miller passed the hairs to his son, at which point the lock disappeared until 1943. That’s when the clippings somehow ended up in the possession of a Danish doctor named Kay Fremming. It’s believed that a Jewish refugee gave him Beethoven’s hair as payment for smuggling them out of Nazi-occupied Denmark. Finally, the lock traveled to London, where Dr. Alfredo Guevara and company purchased it for $7,300 at Sotheby’s before donating it to the Beethoven Center at San Jose. Now that is one incredible journey. Nolan Moore is honing his chess skills for when Death comes a-knockin’. If you want to drop him a line, you can contact him at [email protected].